The Xolo Rescue League is having a fundraiser quilt raffle. The proceeds will all go toward vetting dogs in their care. Tickets are $6 each or 2 for $10. There are a small and a large quilt. I'll see if I can upload pics to photobucket, or I can email them as an attachment to anyone interested. Contact [email protected] for tickets. It will be via paypal. The rescue needs funds, so I got a picture. There are two quilts a Queen Sized Quilt and a Mini Quilt. The Queen Sized quilt is of Hairless Breeds each square was designed by members of Xolo Resscue and was put together by the women at a correctional facility as a coomunity service project. 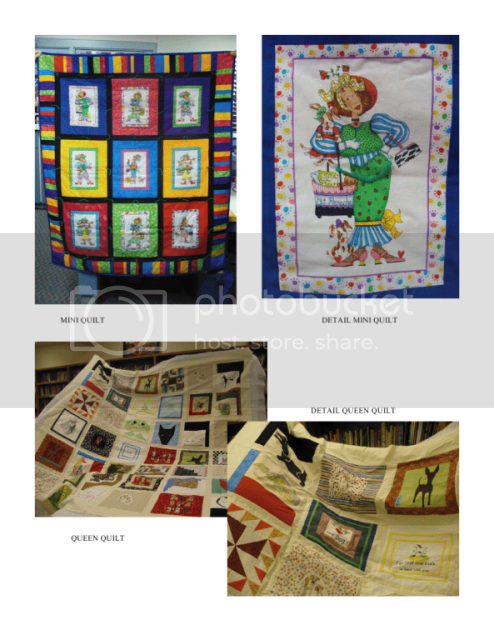 The Mini Quilt is all breeds and was created by a quilting club. All proceeds to help Xolo Rescue League pay for vet expenses and care of the dogs who are taken in. There are currently almost 30 dogs in rescue awaiting their forever homes with more dogs needing to be taken in each day and funds are very very low! Tickets can be purchased from Shannon at Xolo Rescue [email protected] via paypal. Even if you don't want a ticket, even a dollar donated to XRL goes to vet funds and springing more dogs from shelters.